The Champions League returns on Tuesday and Roma will take on Porto at the Olimpico Stadium. The semi-finalists from last year will have plenty to play for as they have some bad memories from their previous meetings with the Portuguese side. Last year at this stage Porto were trashed 5:0 by Liverpool, while Roma progressed past Shakhtar on away goals. The Italians have progressed on three out of six appearances in the round-of-16 and their Portuguese counterparts managed just three progressions from ten attempts. 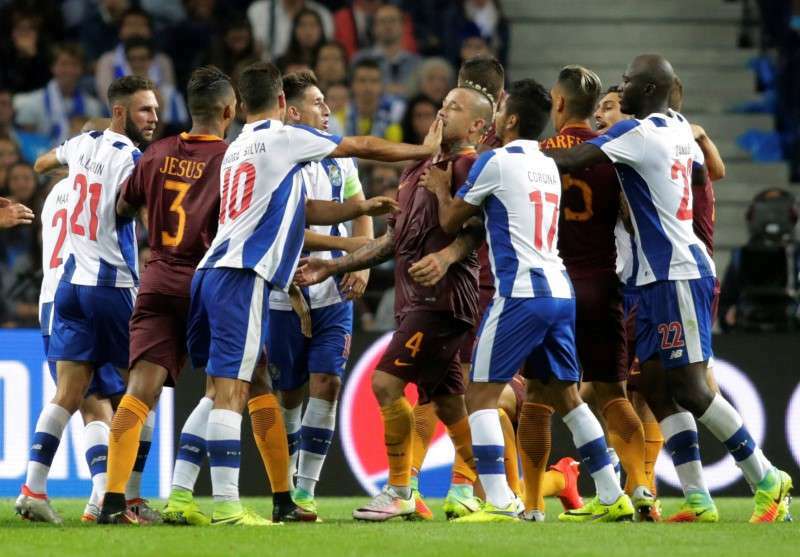 Last game between the teams: 23.08.2016 Roma – Porto 0:3; Felipe 8′, Miguel Layun 73′, Jesus Corona 75′; Daniele De Rossi saw straight red in the 39′ and his teammate Emerson followed in his footsteps with 50 minutes gone. Worth mentioning: The only times this two teams met was in the preliminary rounds of the Champions League back in 2016. The Italians will feel hard done by the referees who dismissed a Roma player in the first half in both games. Even with a man more on the pitch Porto managed just a 1:1 draw at home. By the 50th minute in the second meeting Roma were already down to 9 men and with Porto 1:0 up at the time, the outcome of the fixture was already decided. Top performers Roma: Stephan El Shaarawy 8 goals 1 assist, Aleksandar Kolarov 6 goals 2 assists, Edin Dzeko 5 goals 2 assists. Top performers Porto: Tiquinho Soares 9 goals 1 assist, Yacine Brahimi 7 goals, Moussa Marega 7 goals 5 assists. Worth mentioning: Roma have scored three or more goals in four of their last five outings. Also four times both teams managed to score in these games, with Roma able to keep a clean sheet in the most recent encounter with Chievo. Porto recorded two consecutive draws in their domestic league and their lead at the top was cut down just to a point. Missing players Roma: Patrick Schick, Kostas Manolas, Robin Olsen, Cengiz Under, Diego Perotti, Luca Pellegrini. Missing players Porto: Moussa Marega, Marius Mouandilmadji, Maximiliano Pereyra, Vincent Aboubakar.